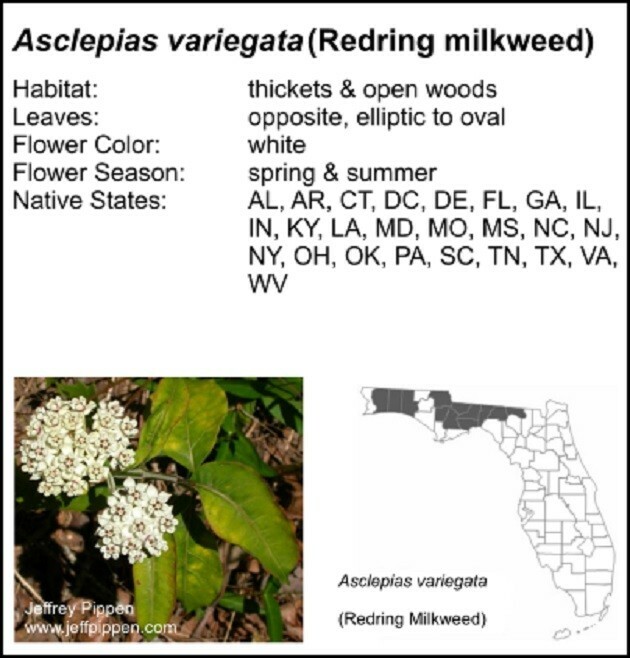 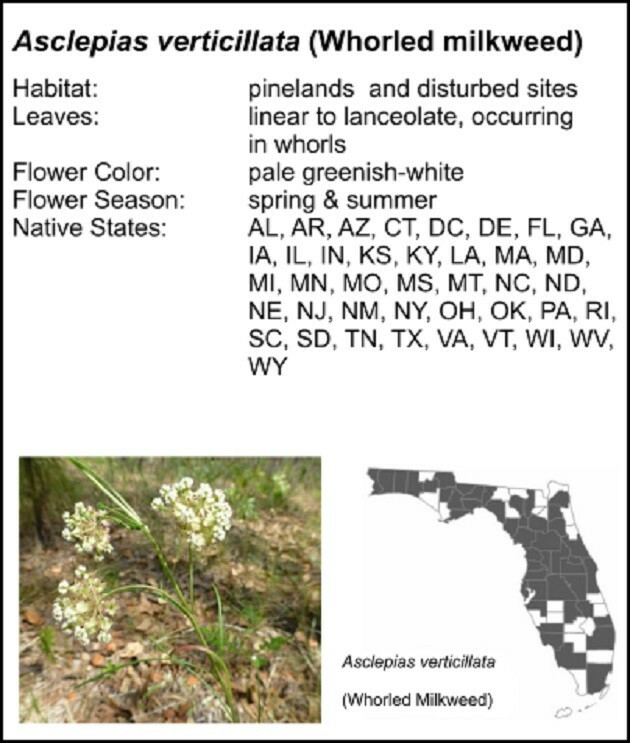 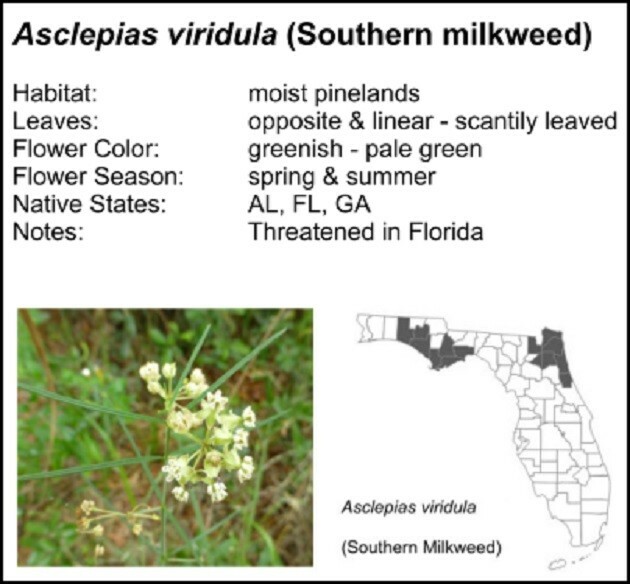 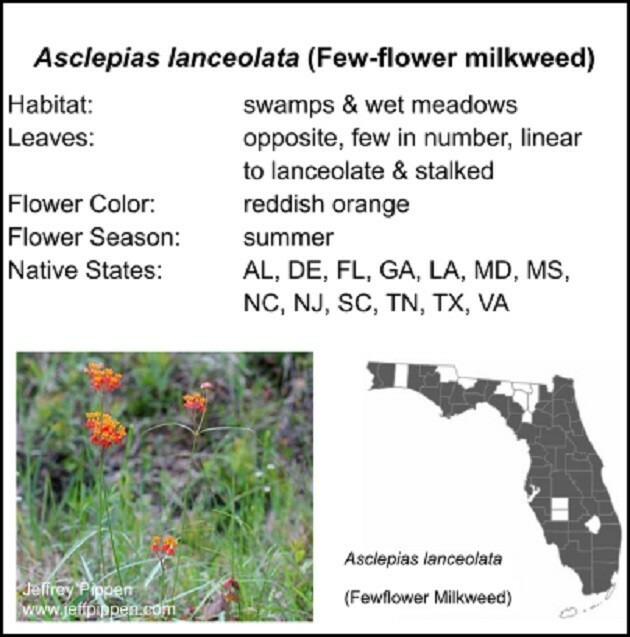 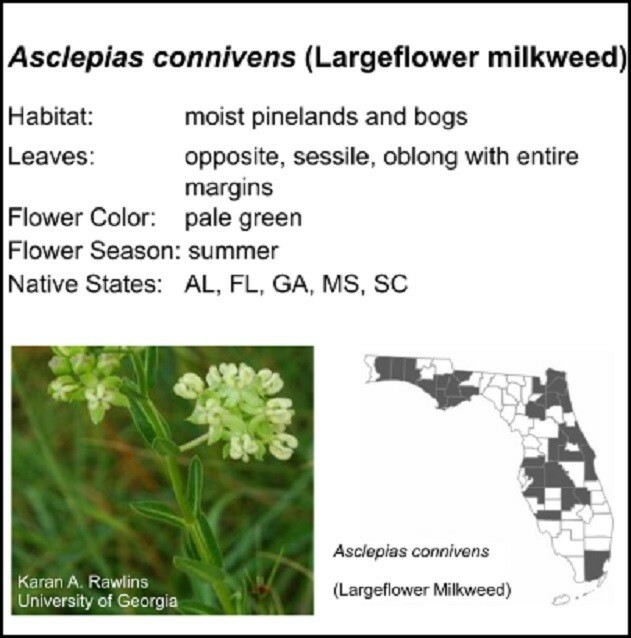 Most people are used to seeing the bright orange flowers of the, non-native, scarlet milkweed (Asclepias curassavica) and don’t realize that Florida is home to twenty one native milkweeds. 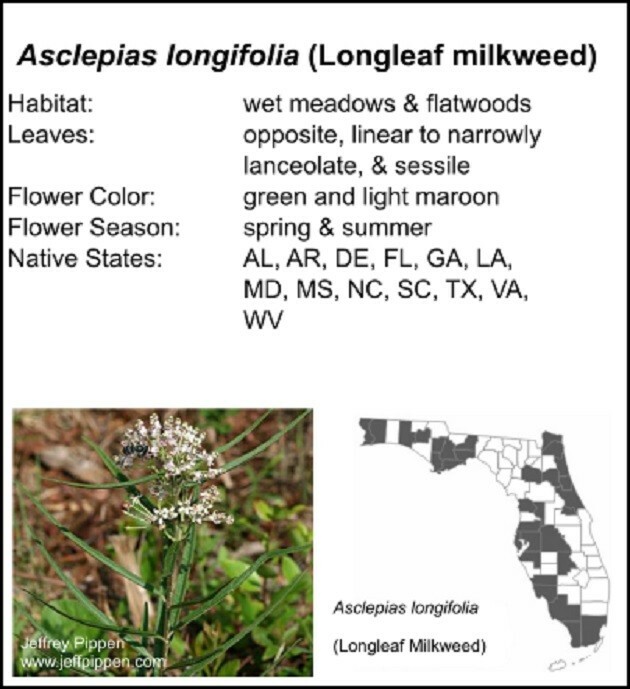 Our native species are all around us in our natural areas, but due to their diminutive size most go unnoticed. 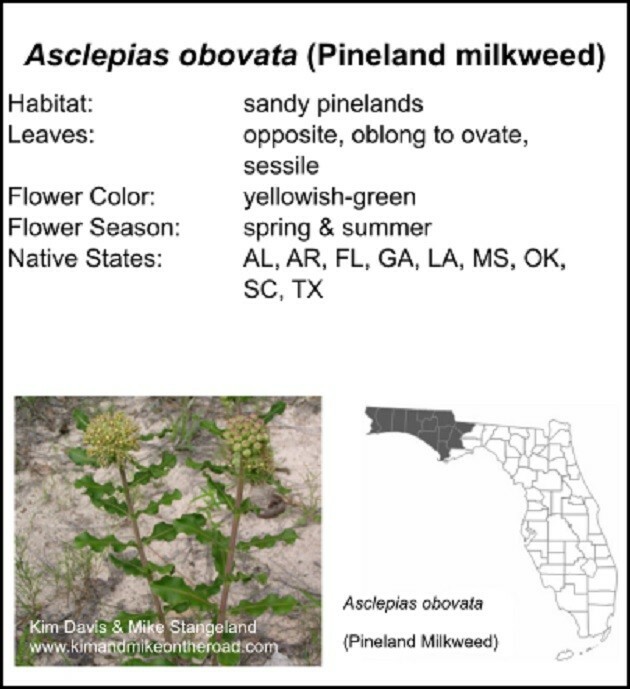 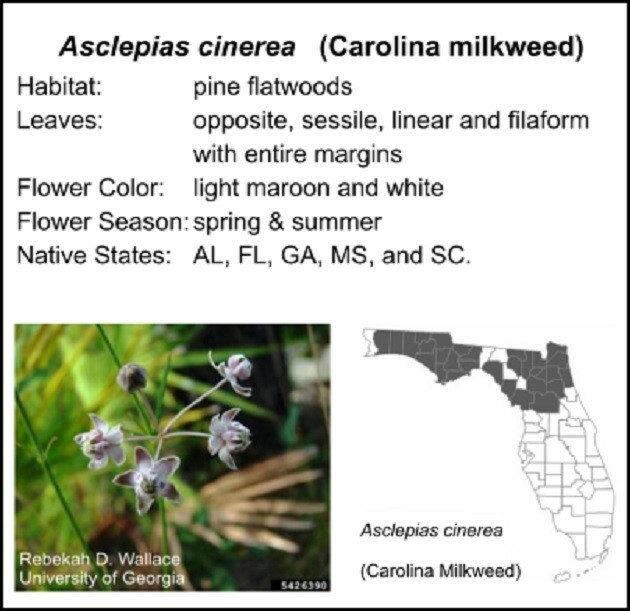 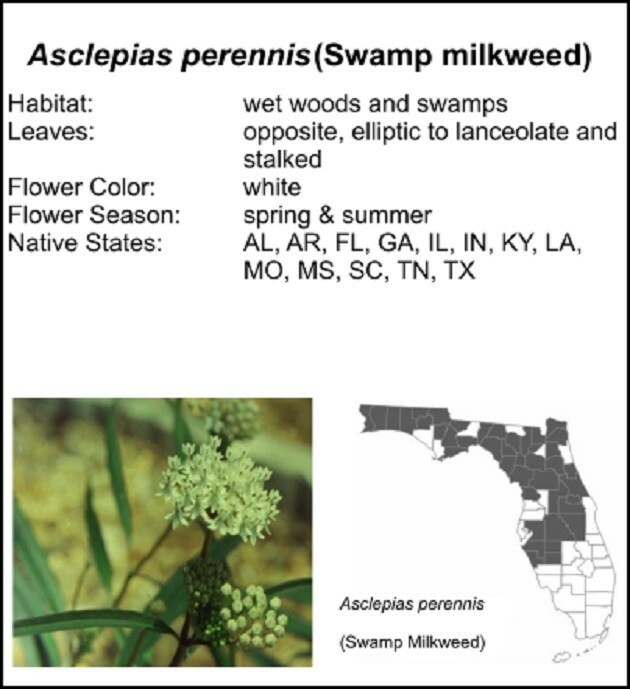 Next time you are out for a hike keep an eye out for some of these native plants. 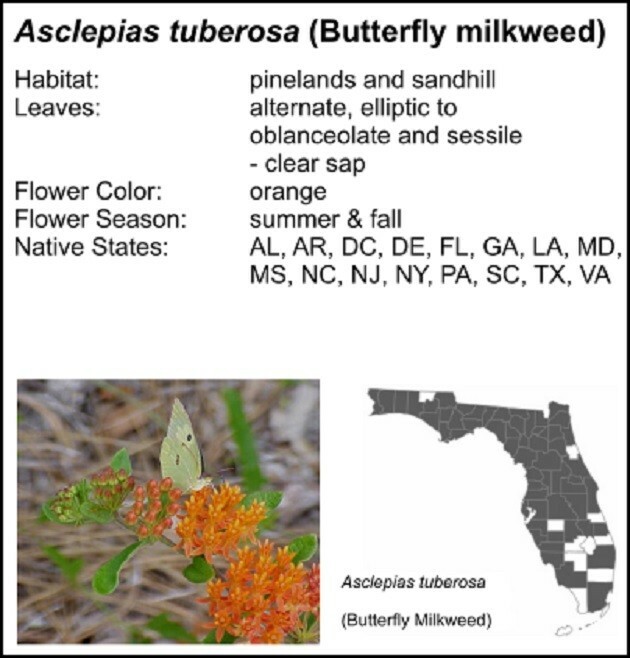 Most milkweeds are easy to grow, provide larval food for monarch, queen, and soldier, butterflies, and are a source of nectar and pollen for a great many insects, including butterflies. 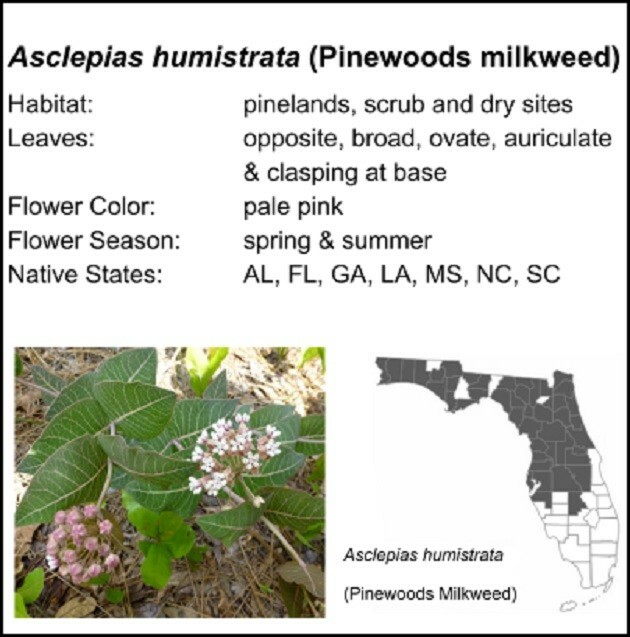 To insure pollination, milkweed flowers have developed a unique mechanism in their structure. 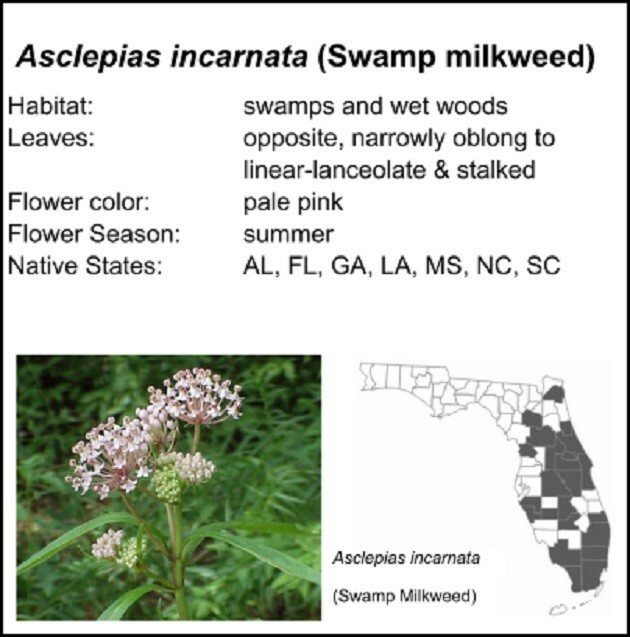 They put insects to work during their visits for nectar by creating a flower structure that catches the visitor’s feet in a crevice between the horns and the crown. 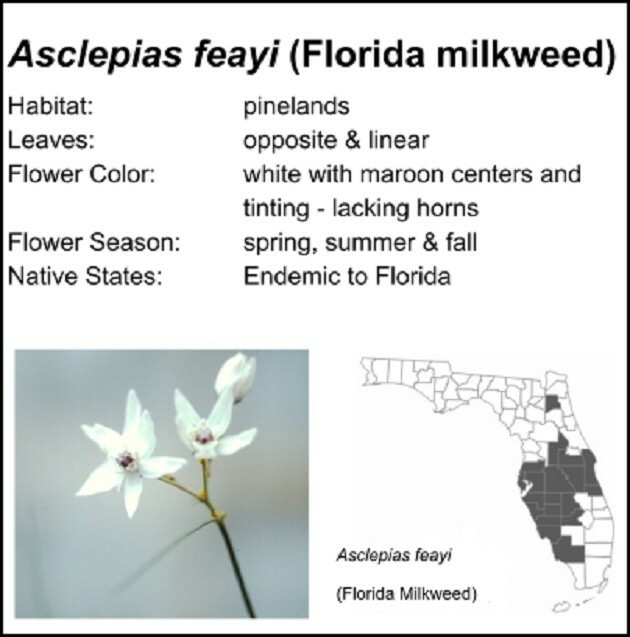 The insect struggles to loosen the flower’s grip and in turn carries away a pair of pollinia (waxy pollen grains). 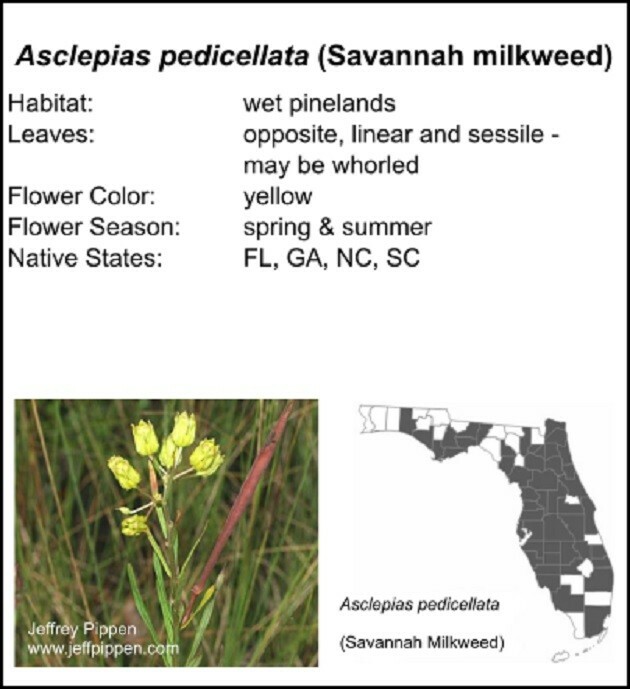 The pollinia look like tiny saddle bags dangling from the insect’s feet. 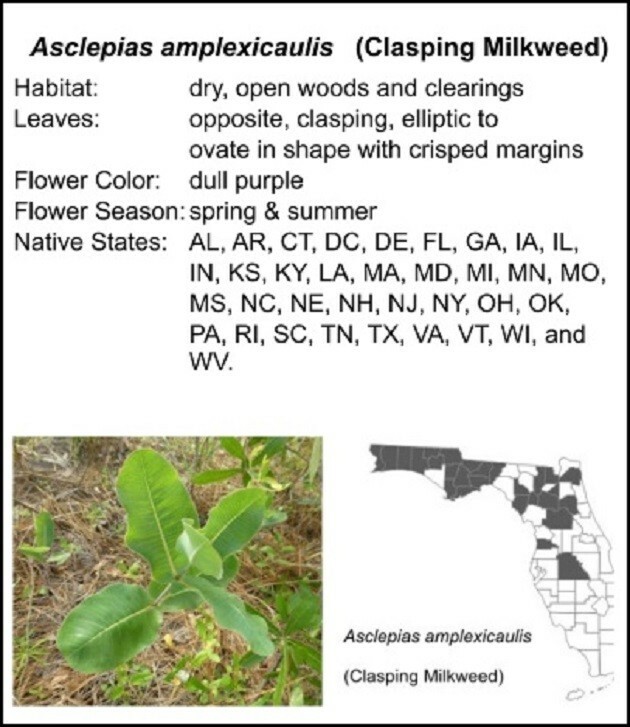 These are deposited to the stigmatic chamber of the next flower that is visited. 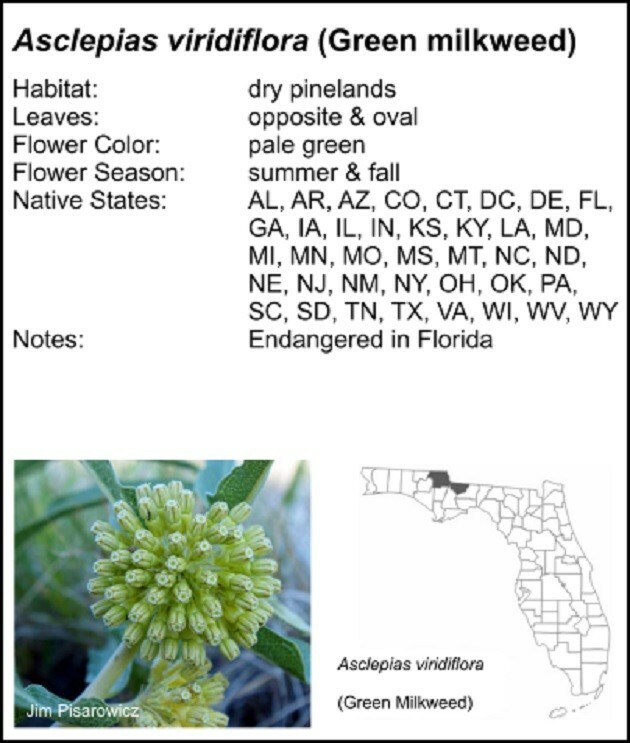 Be sure to check out the amazing photos at A Close-up View of the Unusual Wildflower “Common Milkweed”. 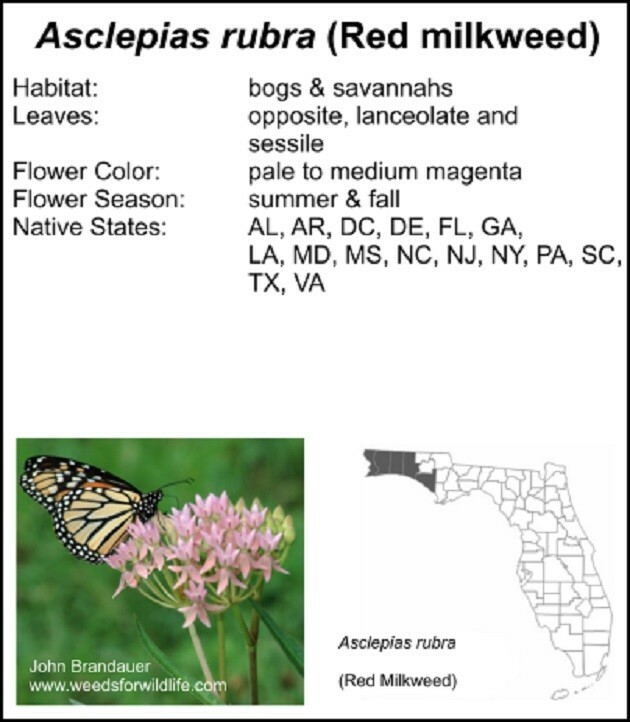 Growing milkweeds that are native to your region make gardening life much easier by drastically reducing garden maintenance. 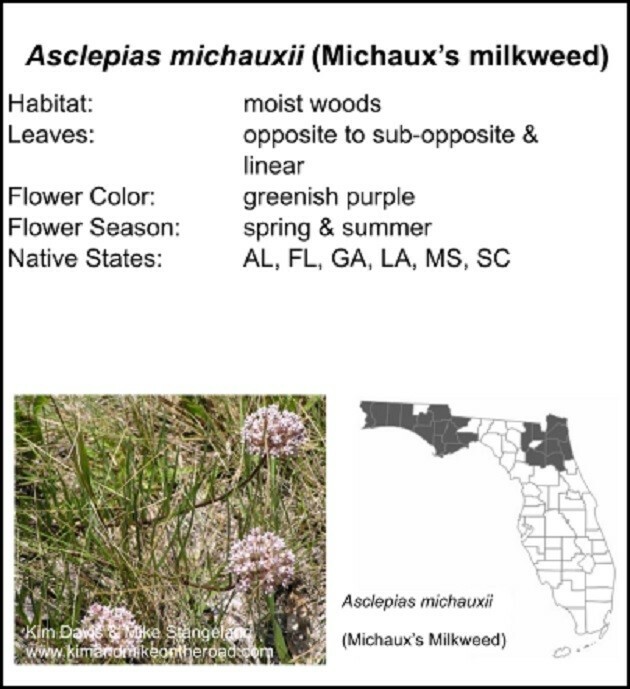 Rather than improving your soil, or installing sprinklers, think of matching the plant to the environment. 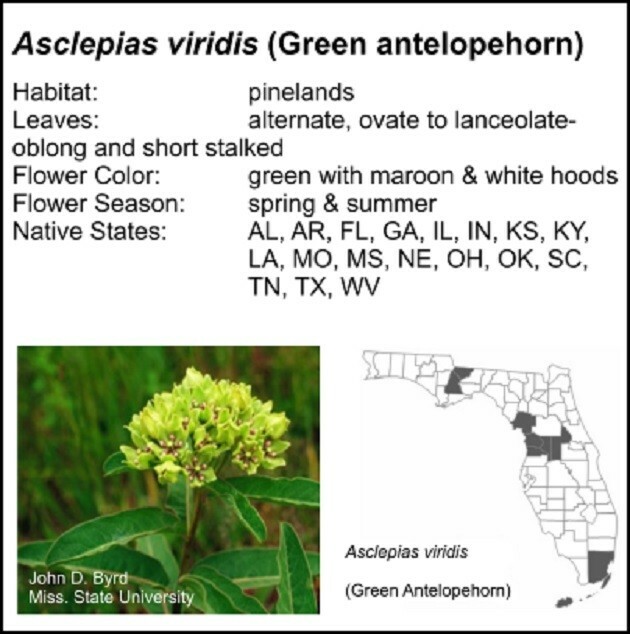 If an area of your property has dry, sandy, soil you can grow Asclepias humistrata or another dry site milkweed. 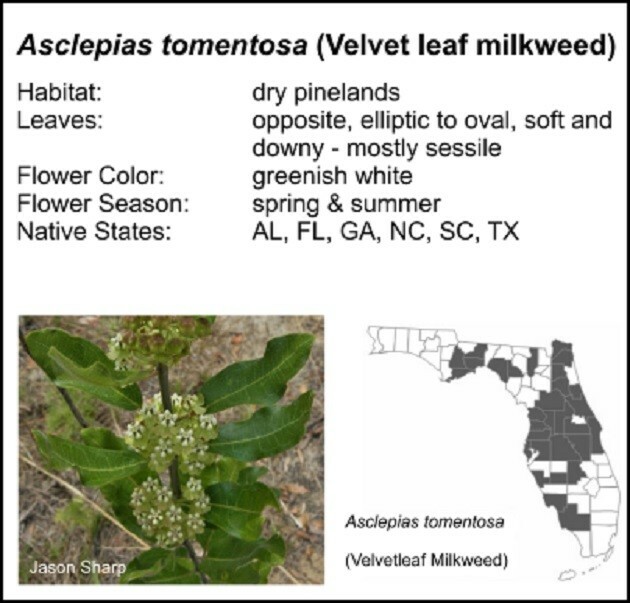 Areas that are moist and soggy will support Asclepias incarnata or another swamp milkweed. 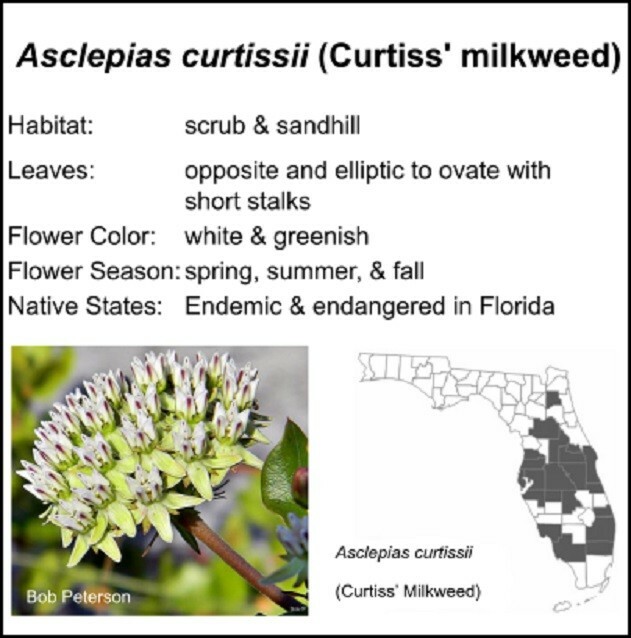 Think in those terms and you can spend more time enjoying the garden, and its visitors, and less time working on it.